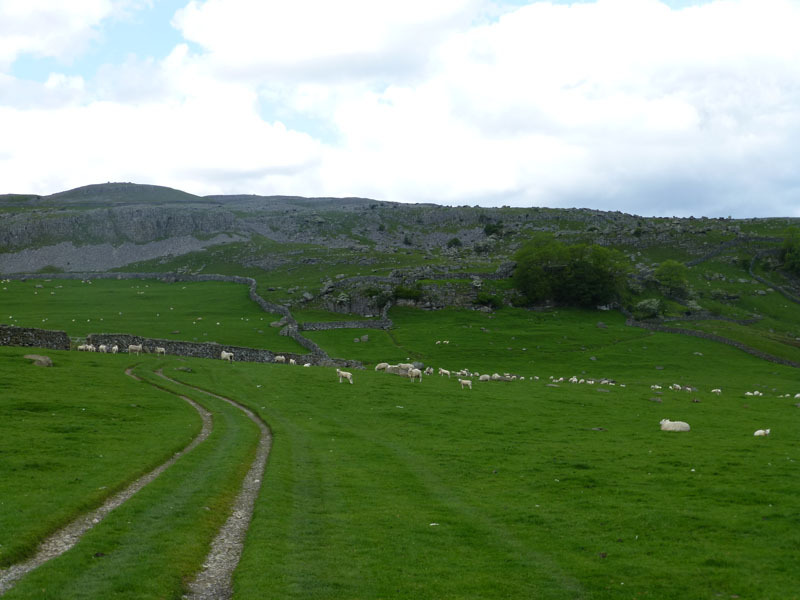 We might have gone to Malham today, but common sense prevailed. 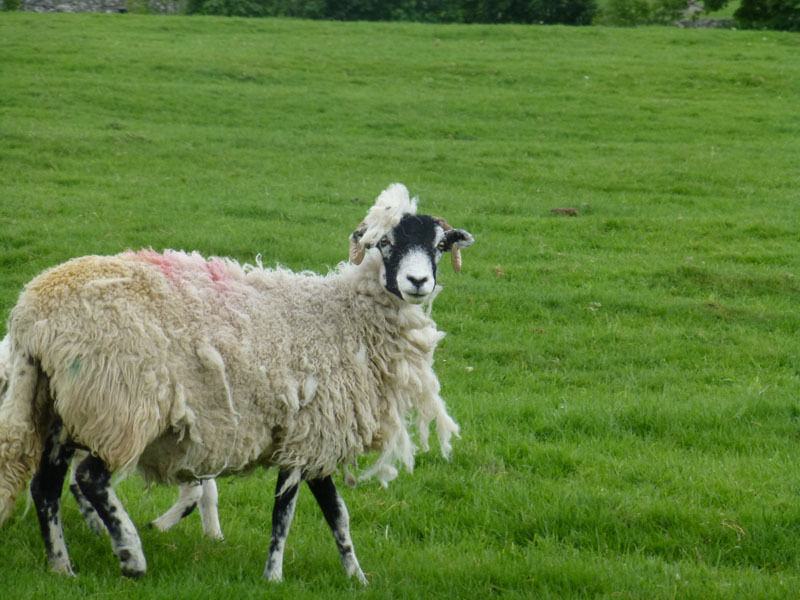 A Bank Holiday trip to Malham is only for the unwise, plain stupid or those prepared to walk in from a couple of miles away. 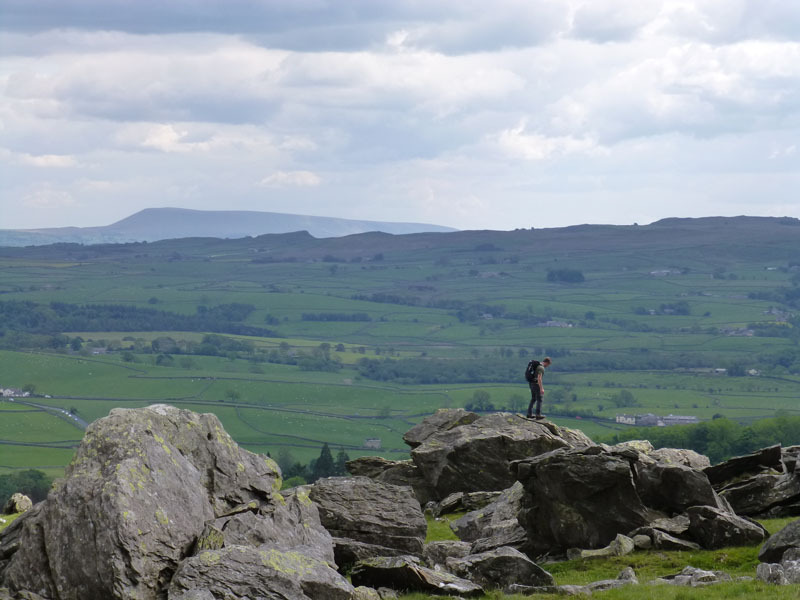 I still refer to my AA book of 50 walks in the Yorkshire Dales, the suggestions and mind-joggers are very useful. 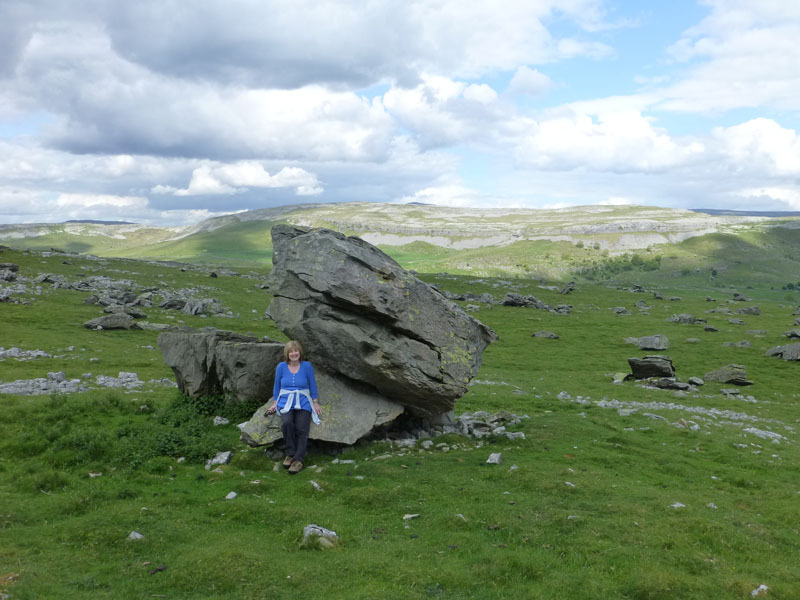 Walk 20 starts in Austwick, but for reasons about to become clear, we started at Point 8 instead. 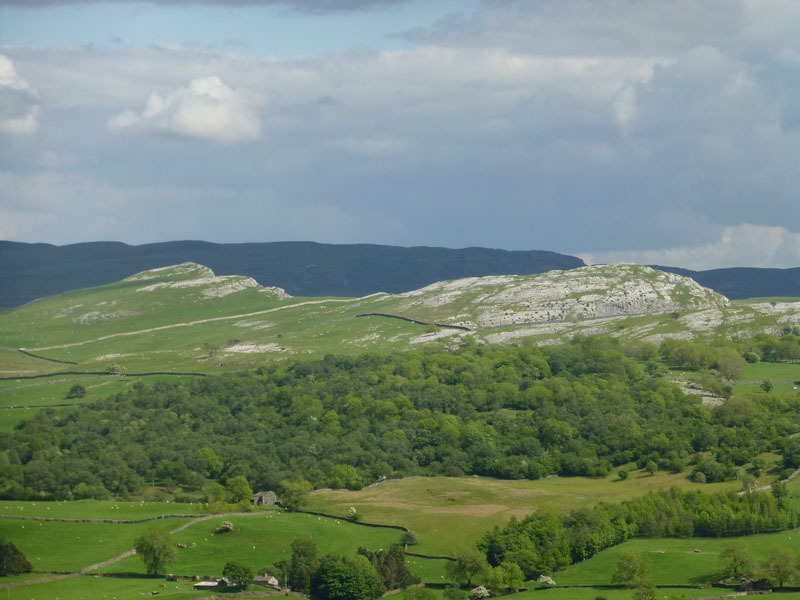 Beyond the fine tree is Robin Proctor's Scar, close to where we will be walking fairly soon. 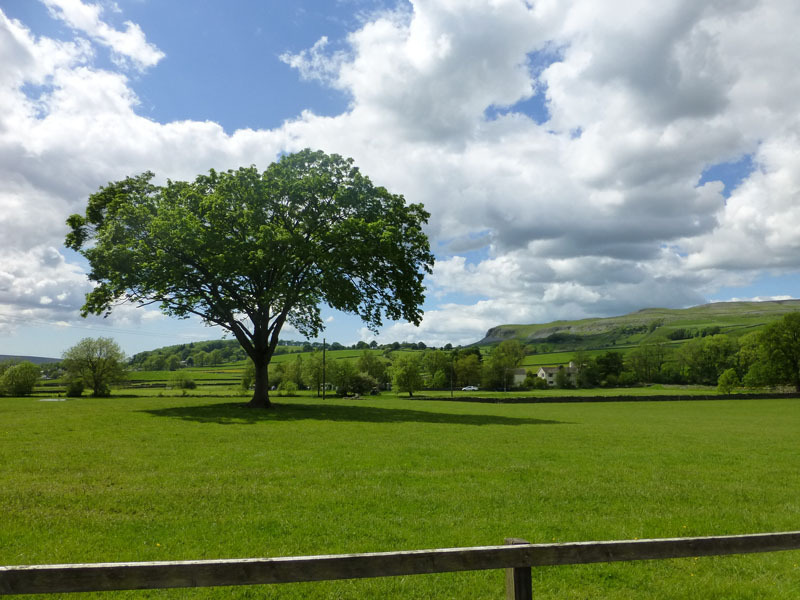 We could not start in Austwick due to the annual Cuckoo Festival taking place. But on a circular walk, the start point is not so important. 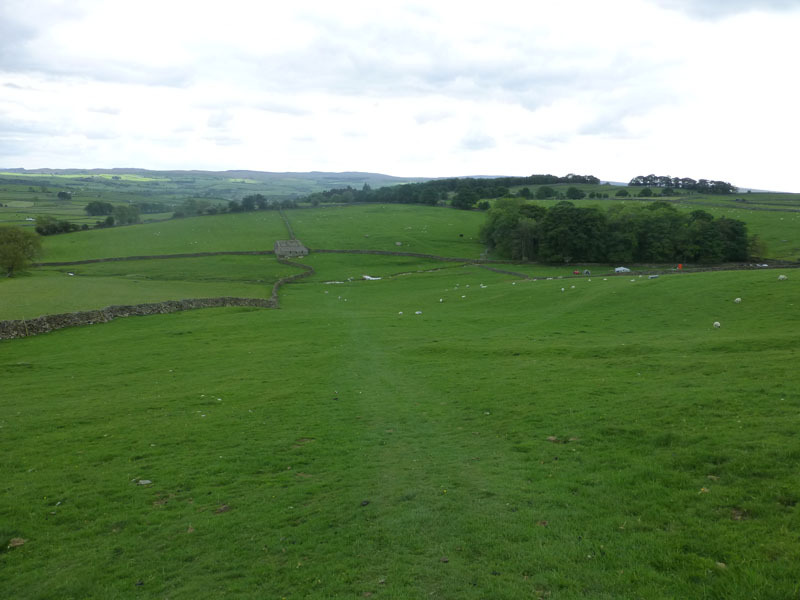 Woodend Farm has a splendid, flat camping field and I think I might bring a tent along soon for some Dales walking (if it's not windy). 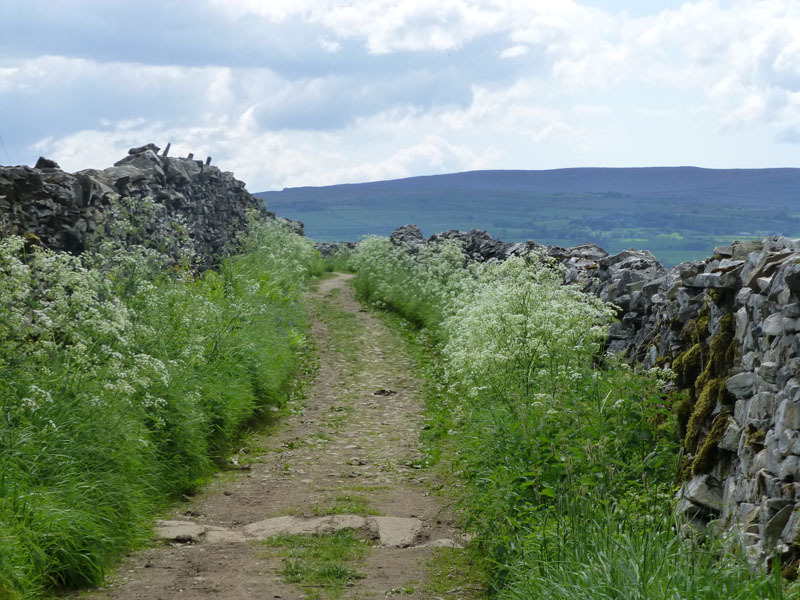 The walk connects Woodend Farm and Austwick via Wood Lane. 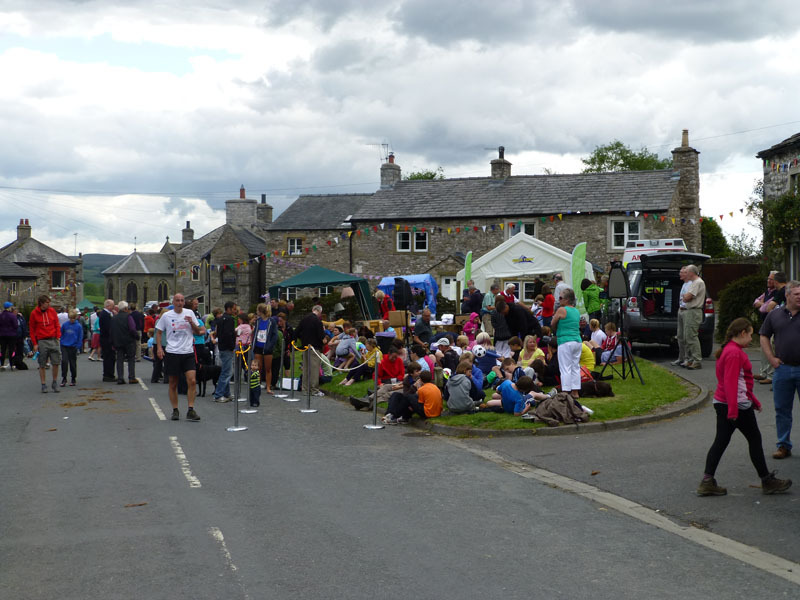 Roads were closed in Austwick and the Cuckoo Festival was in full swing. 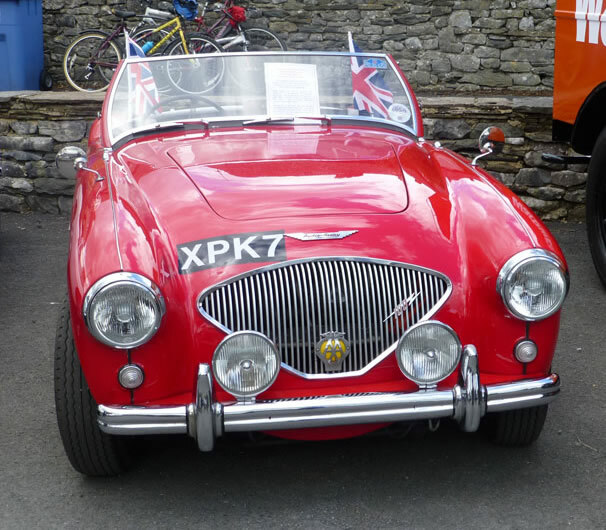 I have a tendency towards very shiny, little red cars and was delighted to find one on show in Austwick. There had been a fell race. Lots of small stalls selling allsorts of stuff. All very "villagey", as Karen suggested. 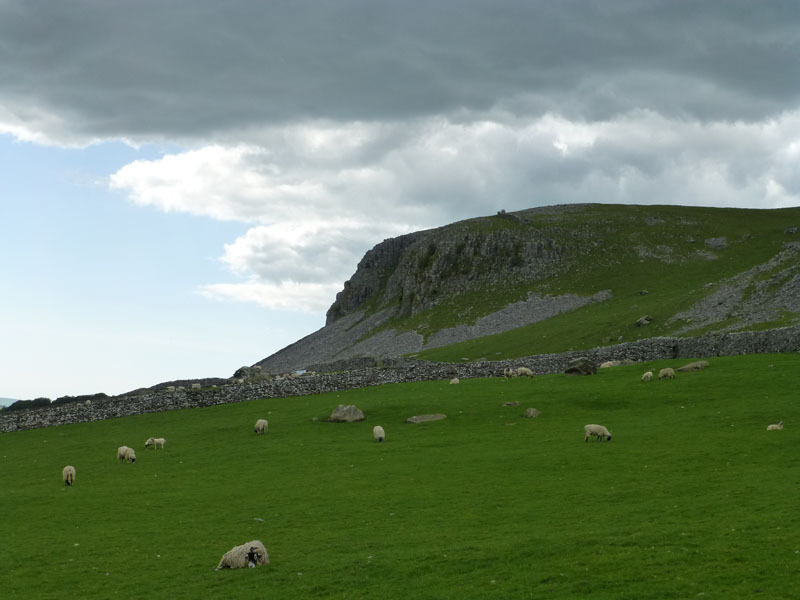 The walk follows a steep track out of Austwick and across this "sheepey" field to the limestone outcrop known as Norber. 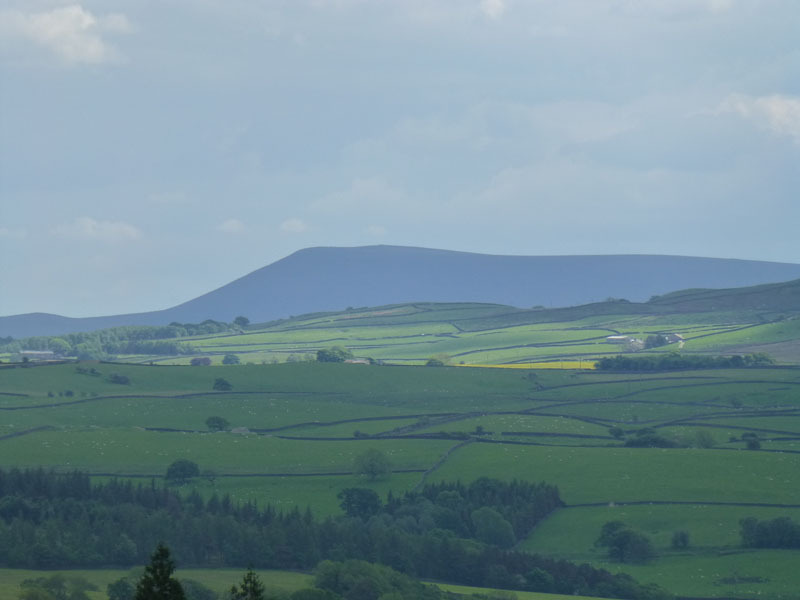 At this point in time, I was considering a walk up Pendle Hill later on as a Jubilee Beacon is due to be lit. World Famous Stones! 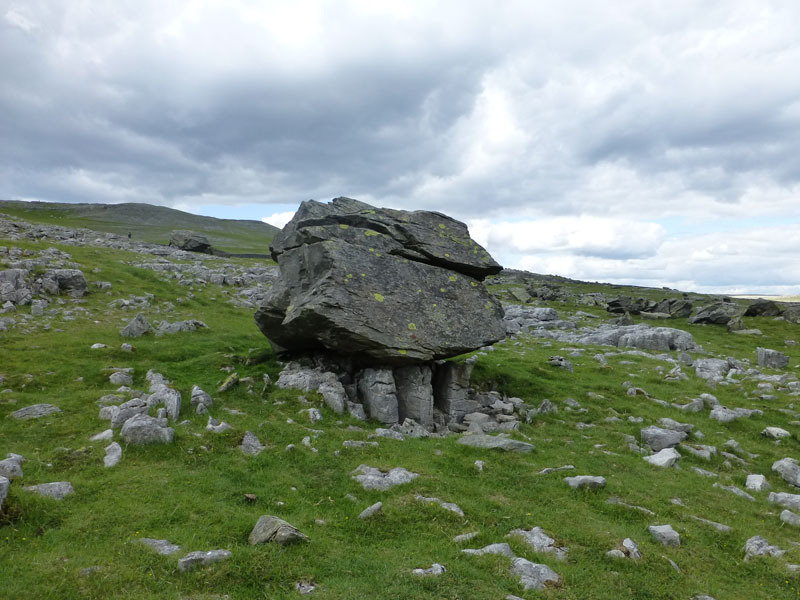 Upon this limestone pavement are sat many interlopers, uninvited guests indeed. 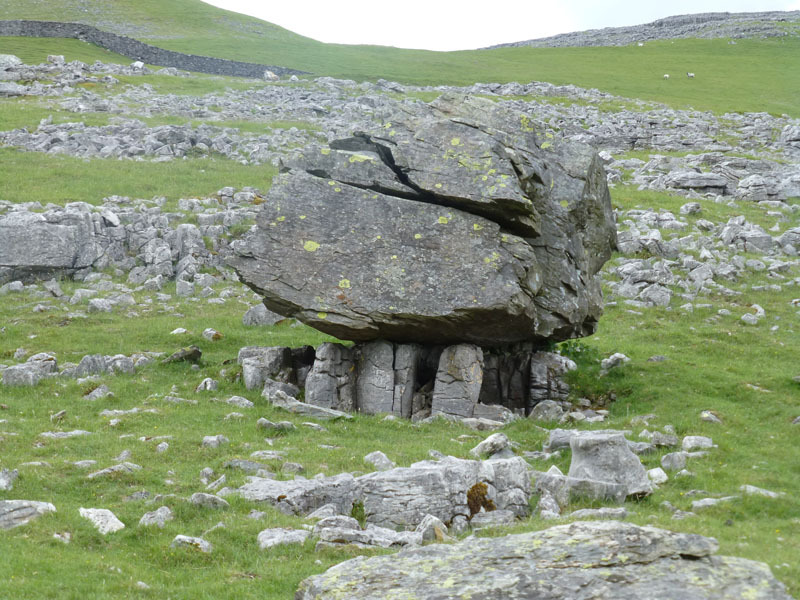 Deposited by a retreating glacier, this graywacke stone sits proudly upon pillars of less-eroded limestone. 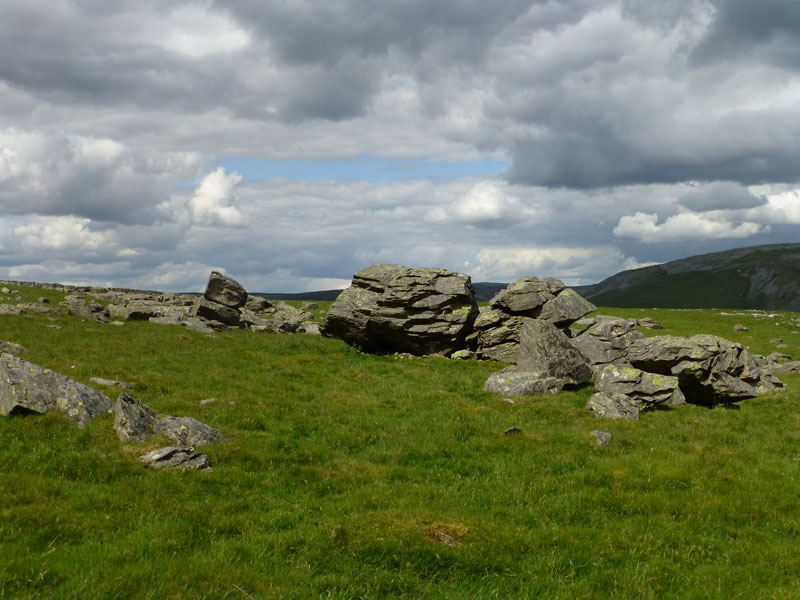 The whole area is awash with such boulders, all carried half a mile from Crummackdale. 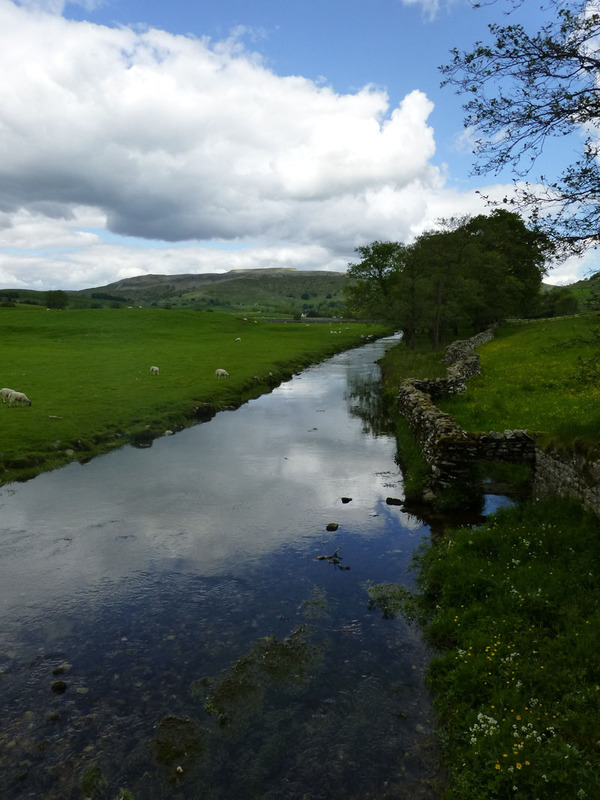 We decided not to complete walk 20 as described and took a footpath across Norber Sike to a lane leading to Slaindale Farm and back to the Helwith Bridge to Austwick road. And back to the car. 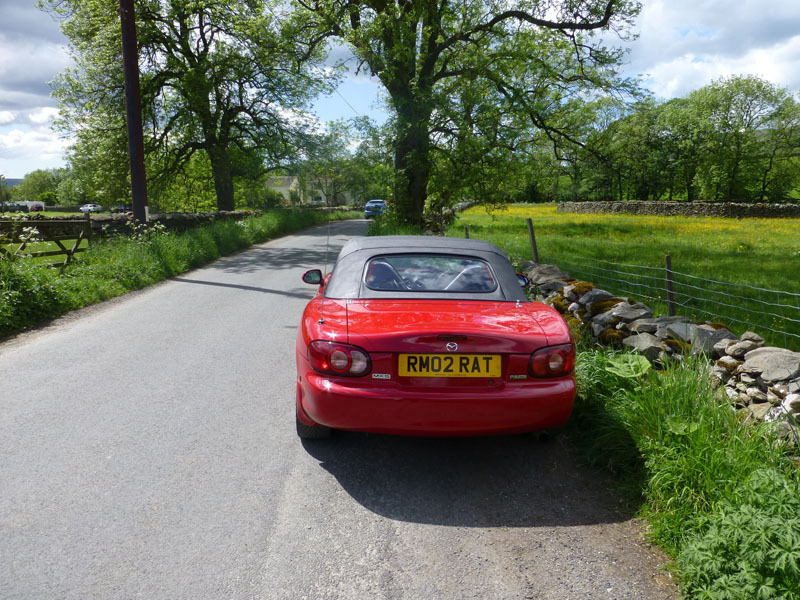 The Ratmobile will be 10 years old on Thursday 7th June 2012 and has been in my care for the last 5 of these years. Averaging less than 5,000 miles per year, my shiny, little red car is in tip-top condition and could be at the Cuckoo Festival in 20 years time! Time taken: 2hrs over a distance of about 4 miles. 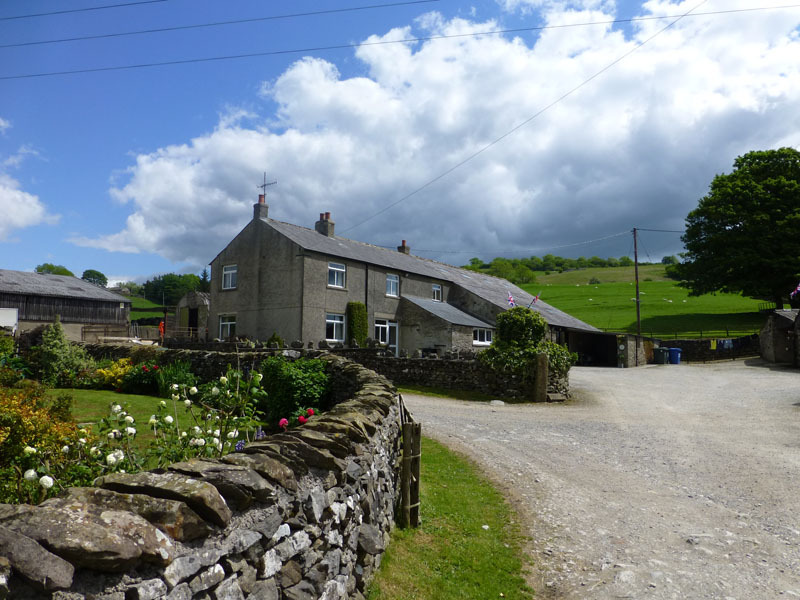 Route: Woodend Farm, Wood Lane, Austwick, Town Head, Norber, Norber Sike, Slaindale, road back to the car. Weather and conditions: Sunny intervals, coolish and calm. Greetings Count: Plenty of folk enjoying a quieter part of the Dales, plus hundreds at the Cuckoo Festival. 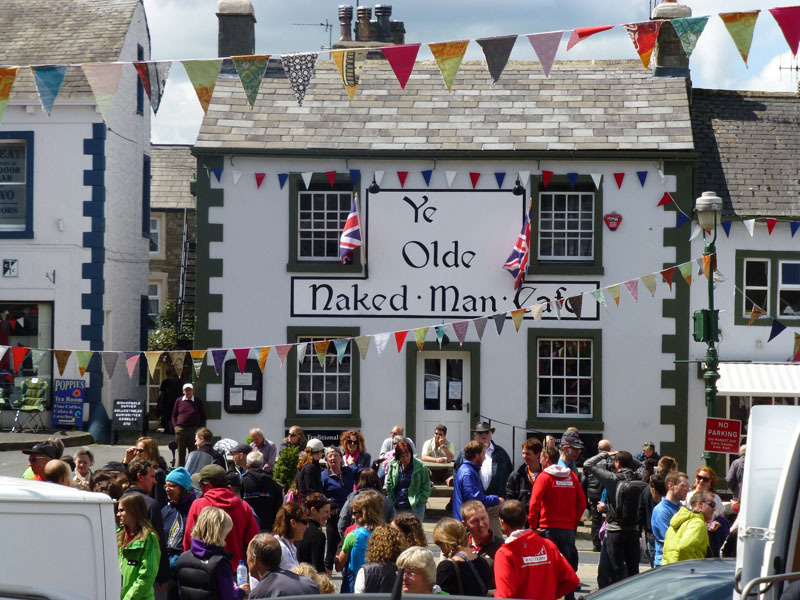 Richard's Refreshment Review: The Ratcliffes called in at Settle on the way up and had toasties at Ye Olde Naked Man Cafe. This place has a baker's counter, a take-away service and a very good cafe. They have a 5 Star Hygiene Rating and I give them another 5 stars for great customer service and first rate food. I don't mind paying a bit more for quality and service.